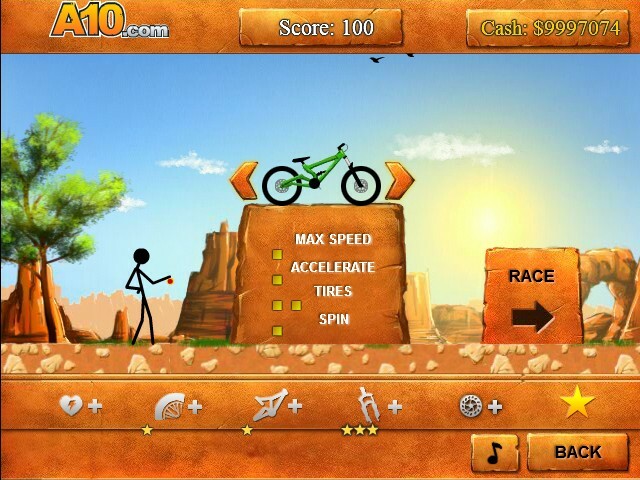 Bike Stick Driving Upgrade A10 Click to find more games like this. 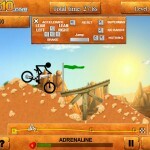 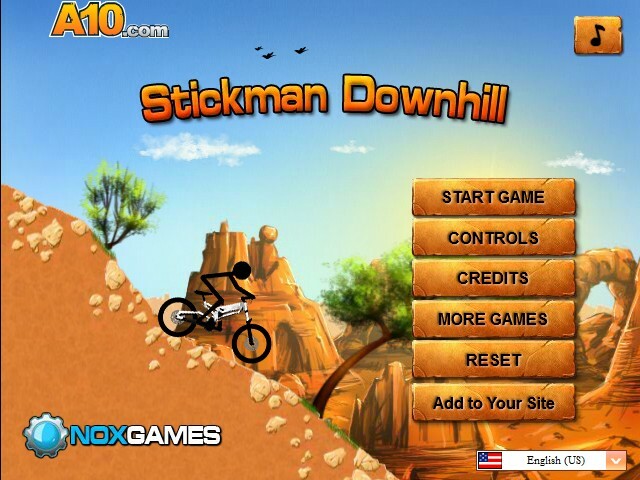 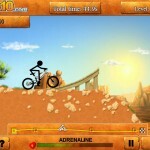 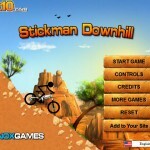 A stickman makes a downhill circuit with his BMX from start to finish within the time limit. 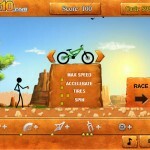 Do stunts and tricks, outstanding performance along the way to gain extra points and bonus, but keep his bike balanced. 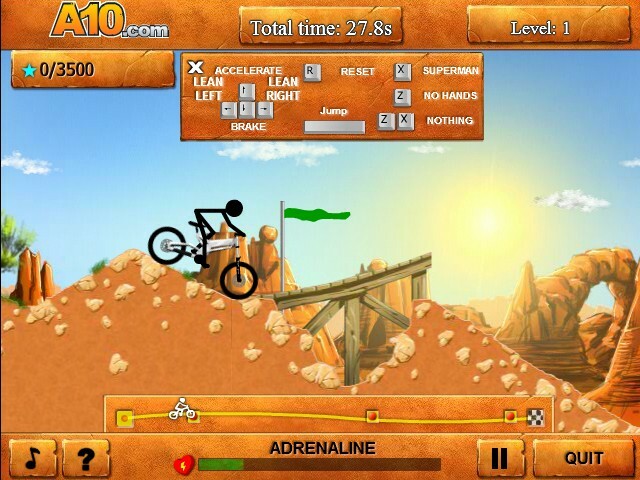 He is challenged by a course that takes him over the lumps and bumps of the hill on the BMX track. 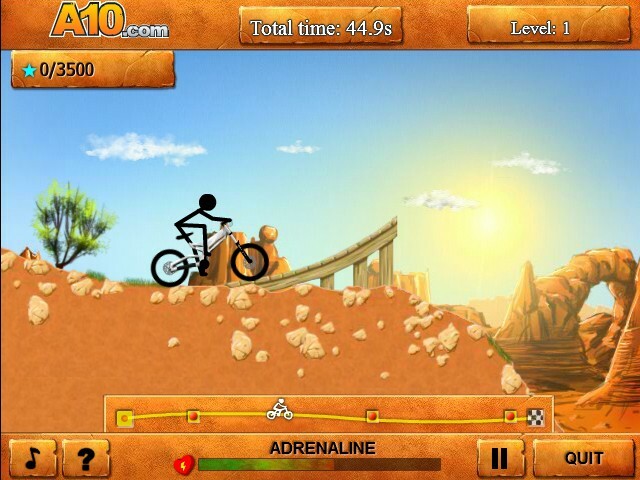 It depends on your driving skill to complete the course in record time.